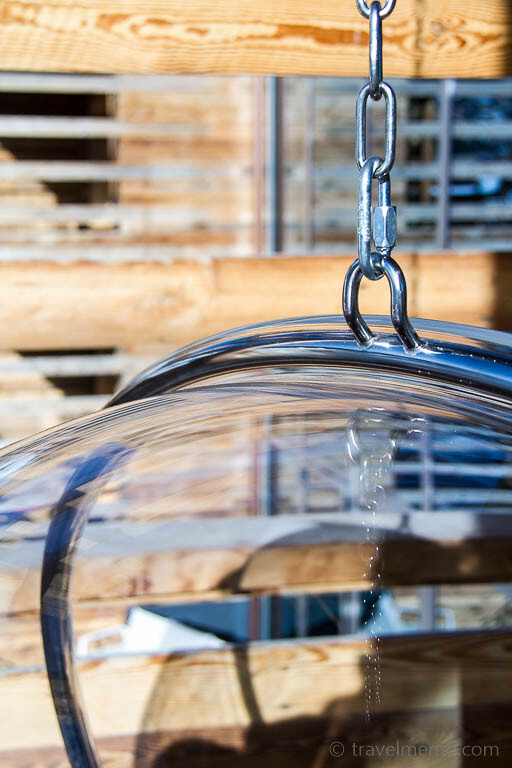 In December 2013 Starwood hotel group opened “W Verbier” – their first alpine escape. 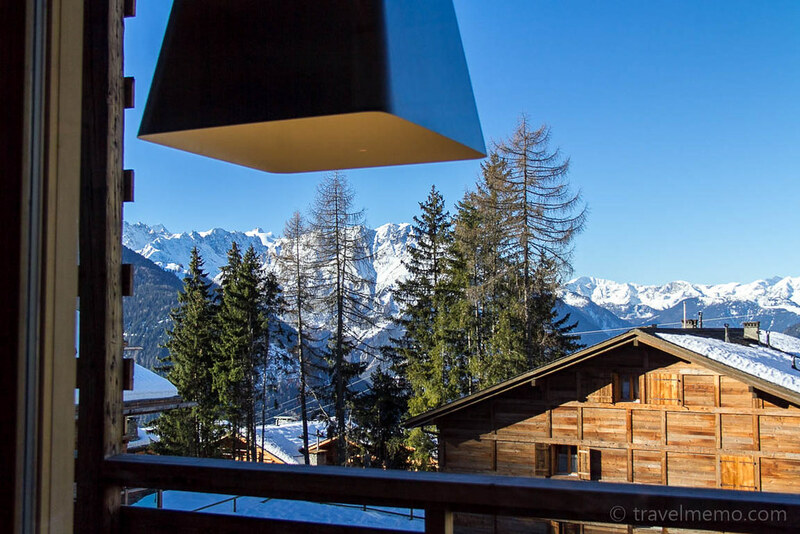 Verbier is the internationally renowned ski resort in the heart of the Swiss Alps. 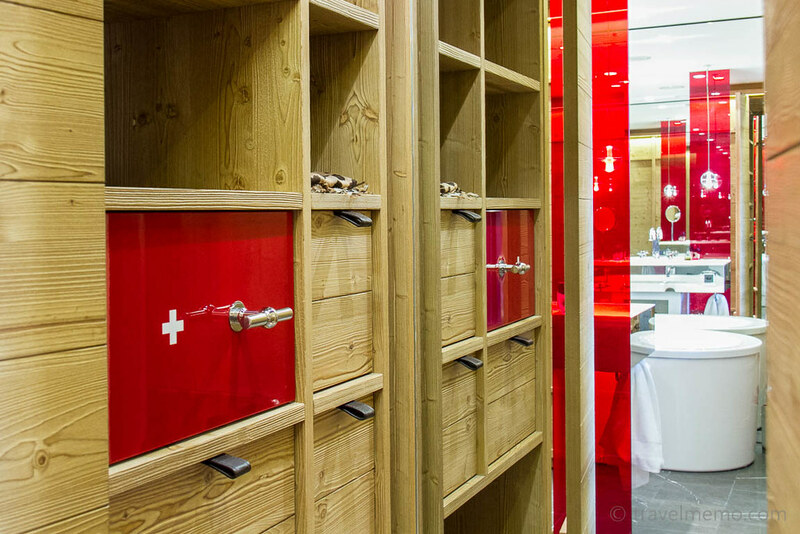 The hotel is the first of its kind in Switzerland, setting new standards with the design-led lifestyle-brand. We had a close look, check out our video review! 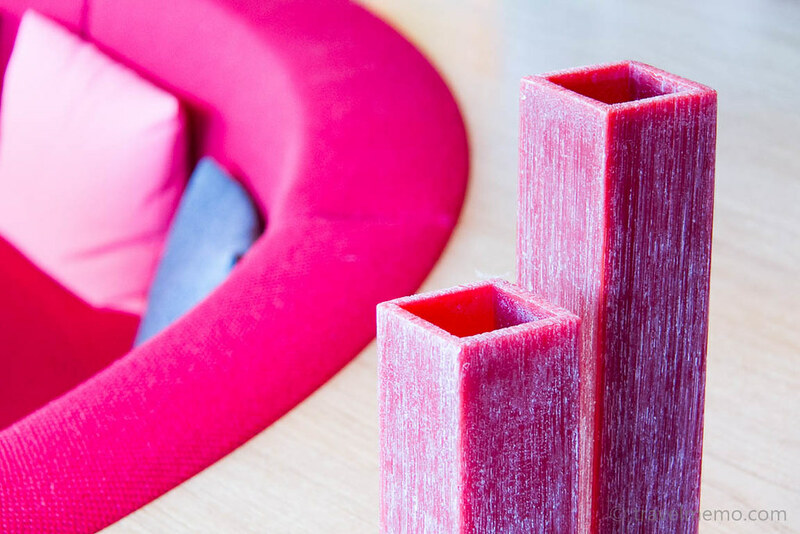 W Hotels boasts a global portfolio of design hotels. 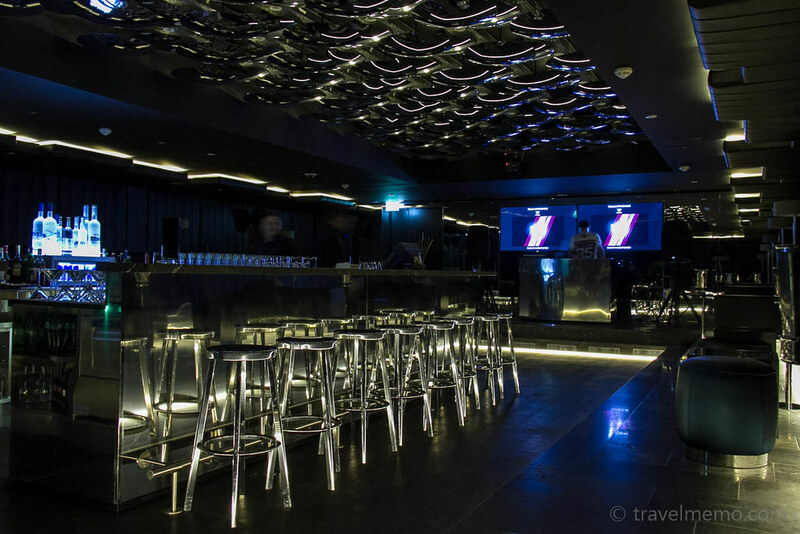 Their venues are mainly to be found in vibrant cities or in exotic holiday destinations. 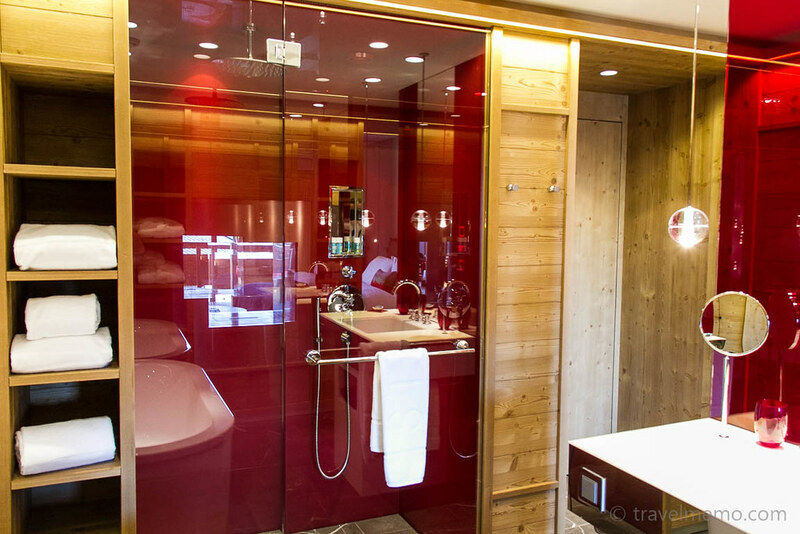 But with the W Verbier the hotel chain now opened its first ever alpine and ski retreat. 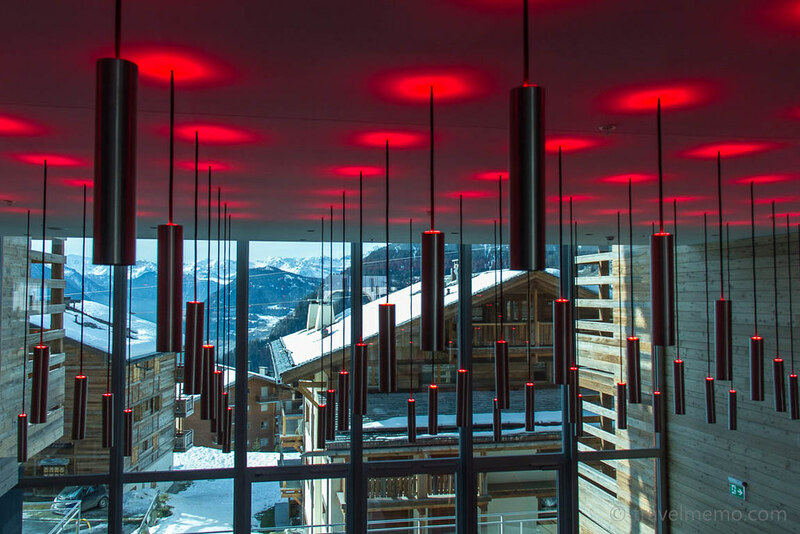 Starwood hotels opened “W Verbier” – their first alpine escape in the internationally renowned ski resort Verbier in the Swiss Alps. 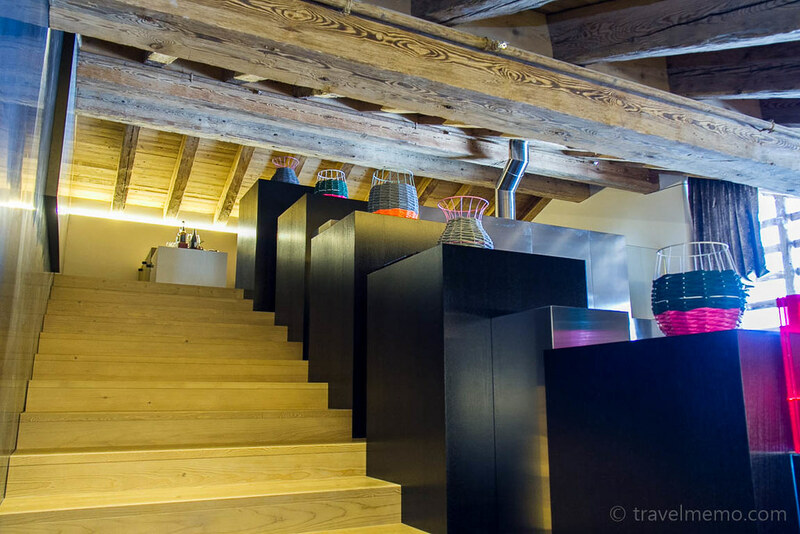 We had a close look and enjoyed the design hotel a lot! 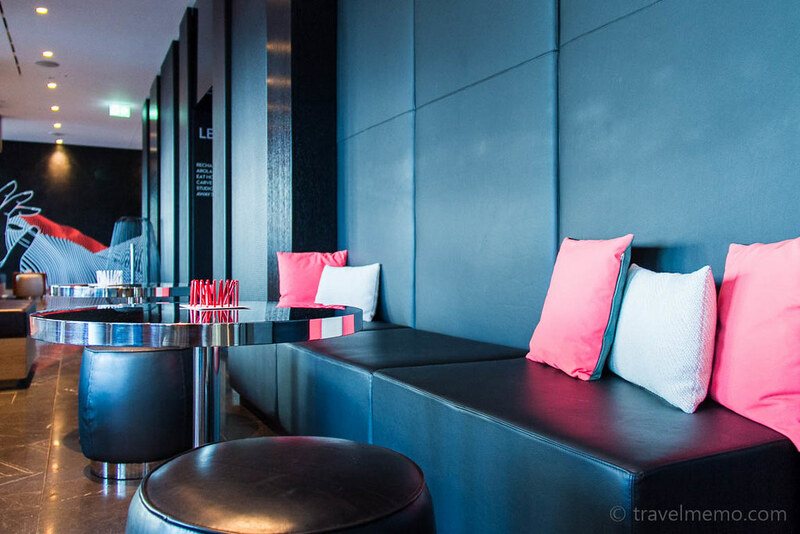 Given our soft spot for W Hotels – we already reviewed several other W Hotels before – and also due to our Swiss home base it was an obvious one we simply HAD to see the new member of the W Hotel family. 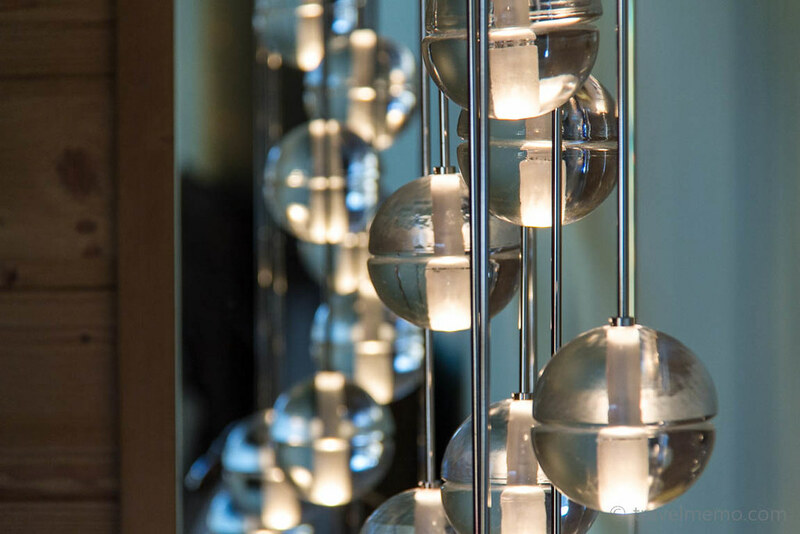 W Verbier – like its peers – offers stylish, energetic spaces. Its design is an elegant fusion of classic alpine style (earthy, natural elements like exposed timber) and urban chic (glass and polished marble). 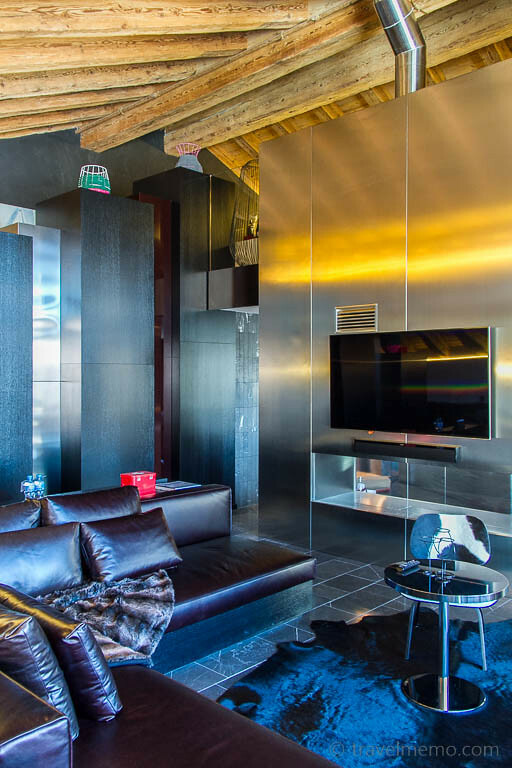 Shortly before arriving in Verbier by gondola, you will easily discover four modern, chalet type buildings on the right hand side. 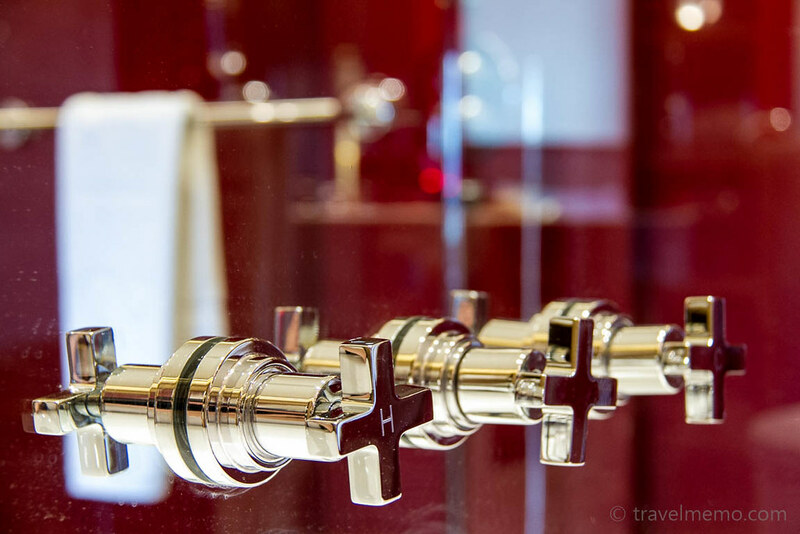 Even without having spotted the hotel’s indicative “W” sign you will instinctively know… this must be it! 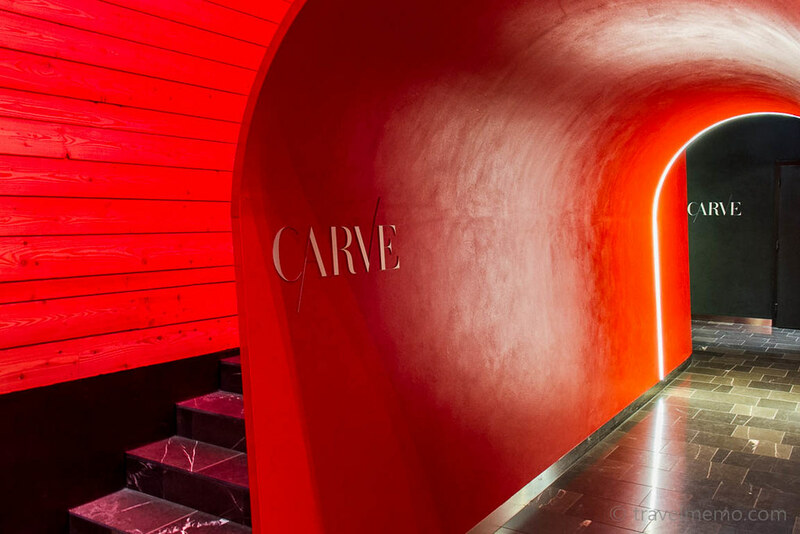 The reception is unpretentious, yet stylish and promising. And one can smell W Hotel’s signature scent… this must be an american hype. It reminded us of the Abercrombie & Fitch stores! With the only difference that the staff is fully dressed. Maybe they will spice up this topic in summer? According to the Telegraph there might be an occupancy issue in summer. 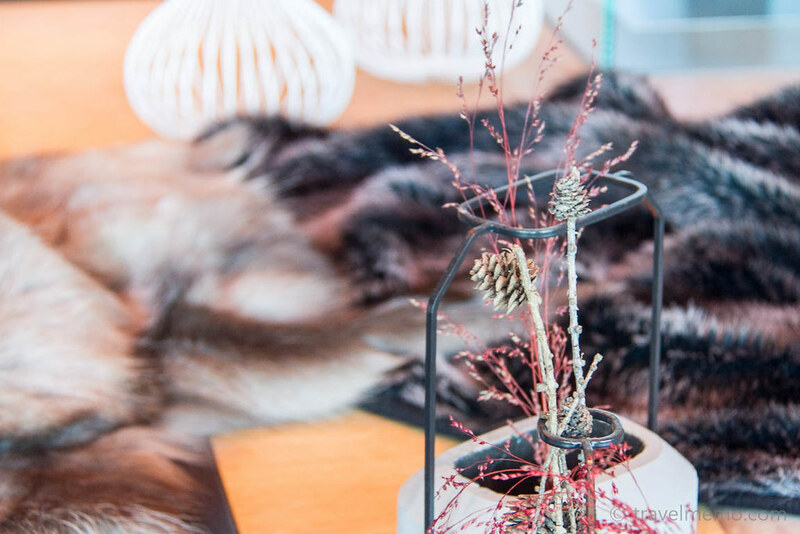 The interior design of the stylish W Living Room, the W brand’s reinterpretation of the traditional lobby space, combines the charm of the Swiss Alps and the coolness of New York. Here’s where you will enjoy cocktails and drinks with a view. 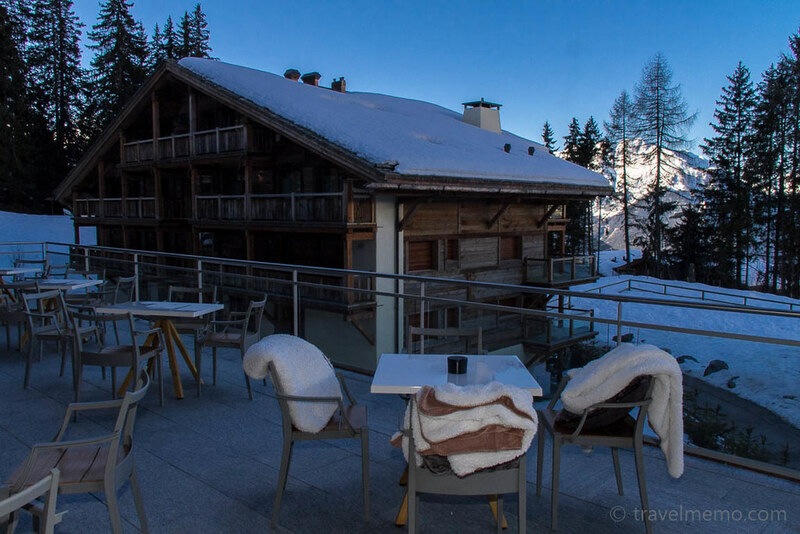 The hotel is located right next to the Verbier cable car and offers ski-to-door access to Mont-Fort (3’330 MAMSL) from where you will enjoy an awe-inspiring view of the mountains around and the famous Matterhorn! 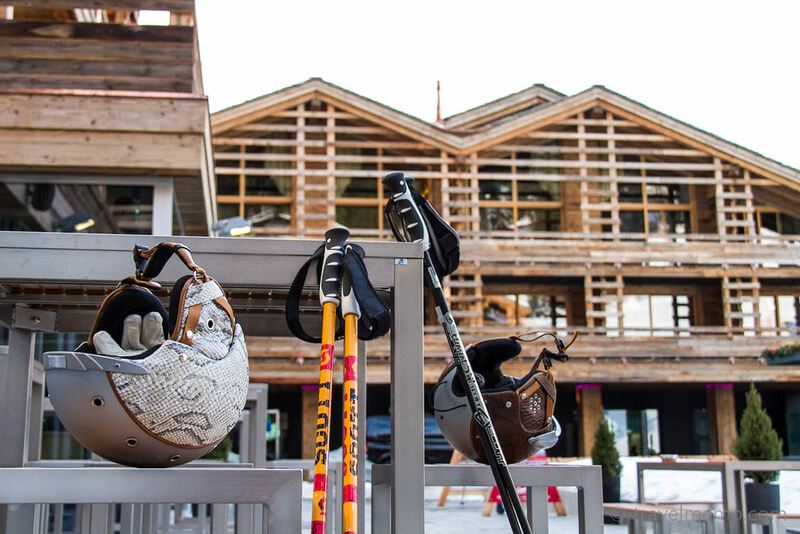 Right at the foot of the Verbier slopes you’ll find the W Off Piste bar where you can get together for a glass of bubbly, an ice-cold beer and signature cocktails with a sizzling DJ on the decks. 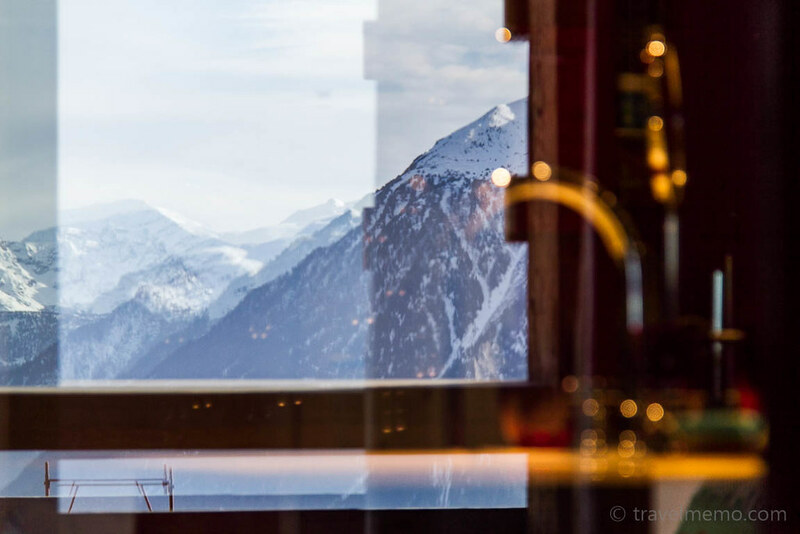 All 123 stylish and spacious guest rooms have a distinct chalet feel to it, with huge outdoor balconies boasting panoramic views of the Swiss mountains. 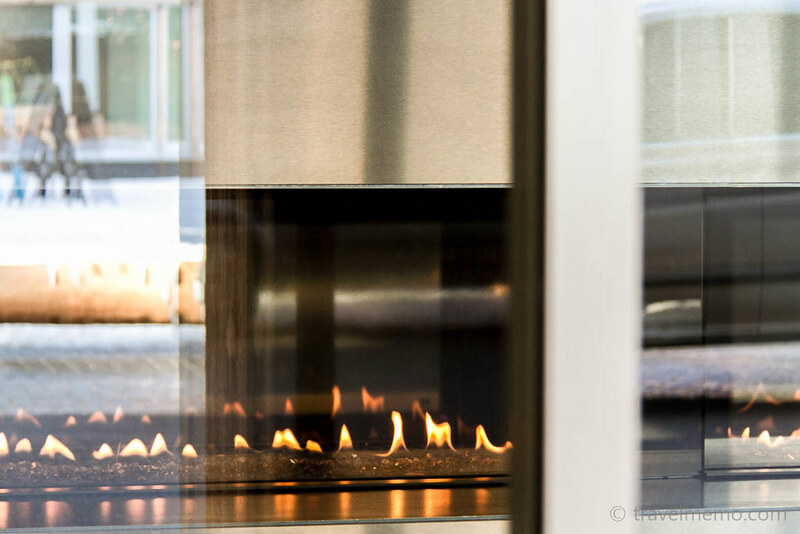 The rooms feature a cosy fireplace and state-of-the-art amenities. 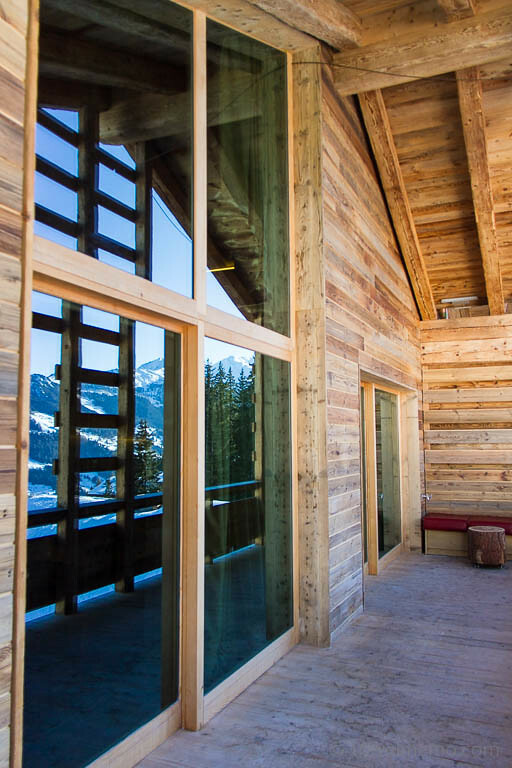 The rustic wooden chalet-style interior provides a warm contrast to the sleek and cool furnishings. Watch out for the toilet… it’s hidden away behind a wooden wall. 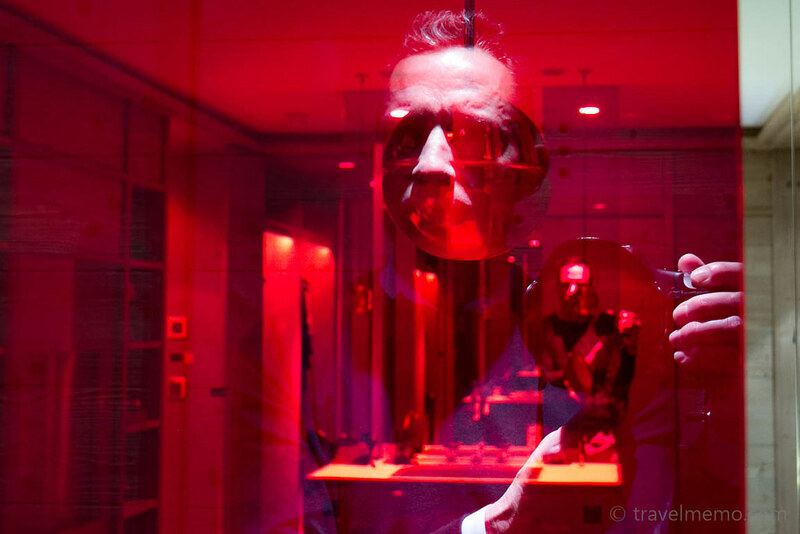 And we also liked the walk-in closet and its Swiss styled hotel safe. Those among us who can afford the small change should definitely check out the Wow Suites. We heard that those guests typically book the whole floor. Well, they are sure to whisper a “wow” in awe in front of such splendor. After you slept here you will want to buy one of those mattresses and guess what, W has an online shop for exactly that! 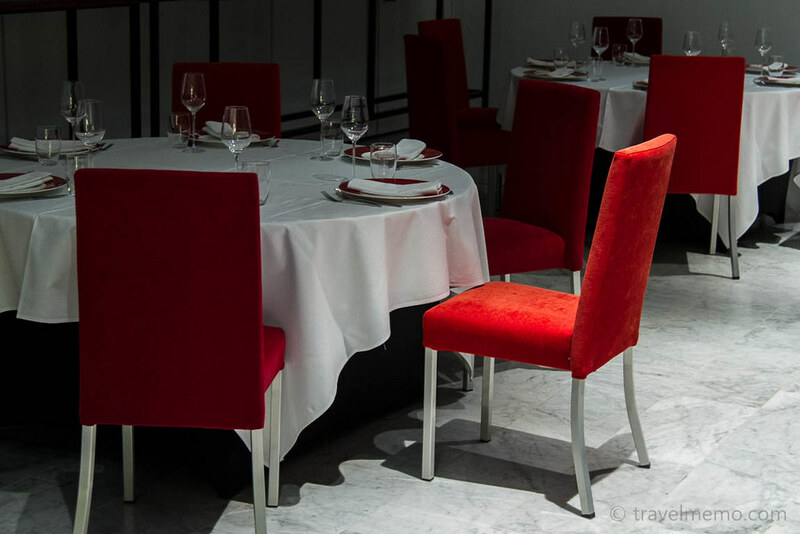 “Arola” restaurant is headed by two Michelin-starred Spanish chef Sergi Arola, who specializes in Spanish cuisine and tapas. 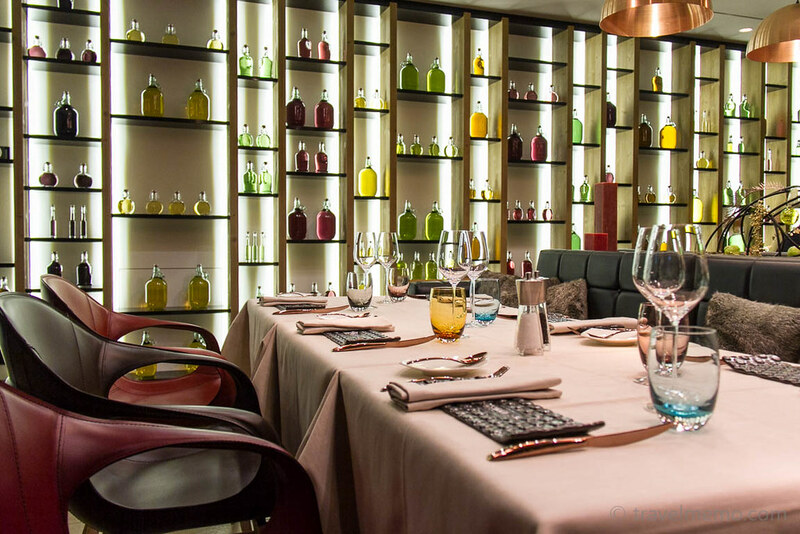 Sergi creates exciting menus inspired by the abundance of artisanal Swiss products and his Catalan roots. 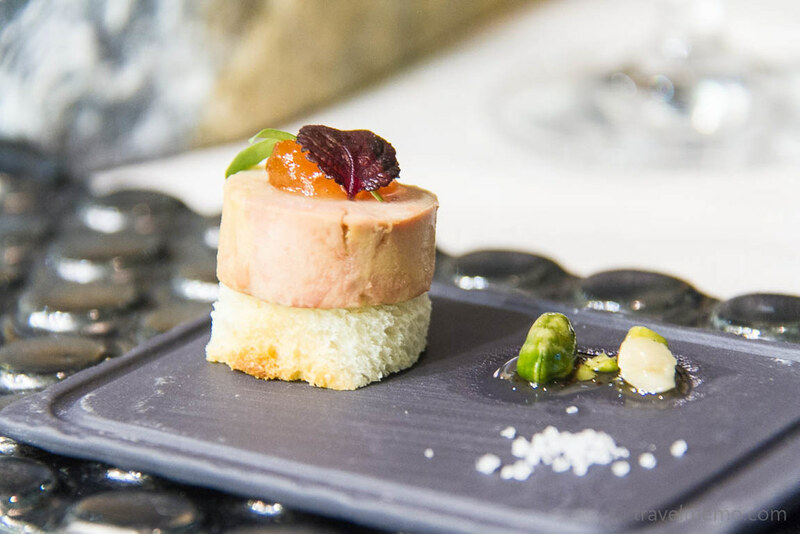 He closely follows the “pica pica” concept including creative interpretations of Swiss classics, served on a platter for all to share. Tapas style. Upon recommendation of charming and very attentive waiter Fernando we opted for the “Chef’s choice menu” – a multi-course dinner with several entrances, main dishes and yummy desserts! And then again the spa didn’t appeal to us all that much. It’s not up to par with all the other hotel amenities. Maybe it was due to the recent inauguration but several details were not working properly. 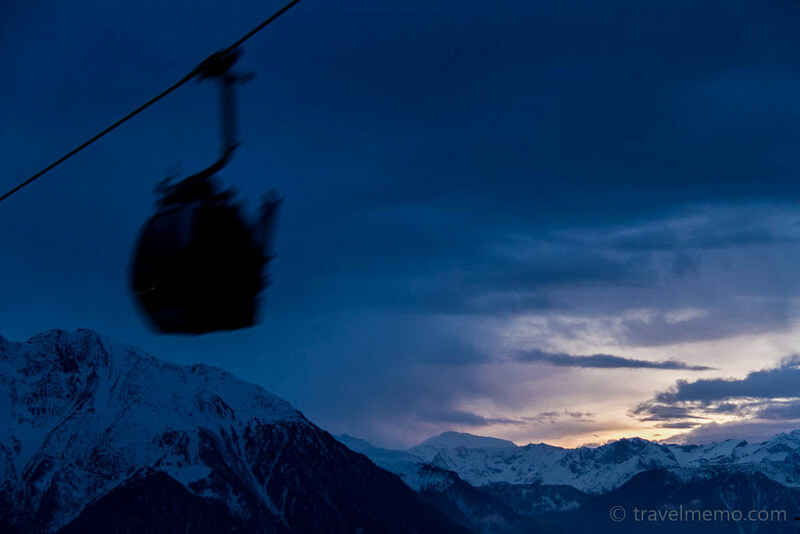 Verbier is considered one of the best ski destinations in Europe. Within its renowned “Les 4 Vallées/Mt-Fort” ski area, you can enjoy up to 410 kilometers of ski runs! From December until the end of April you will find the perfect conditions to enjoy your winter ski holiday. 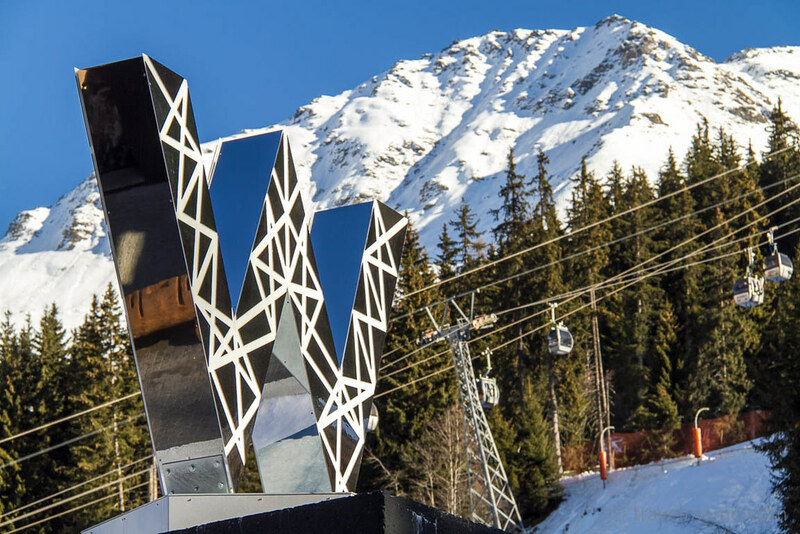 By the way, the W Hotel is conveniently located next to the main cable car, with direct access to the marvelous ski area around Mont Fort. 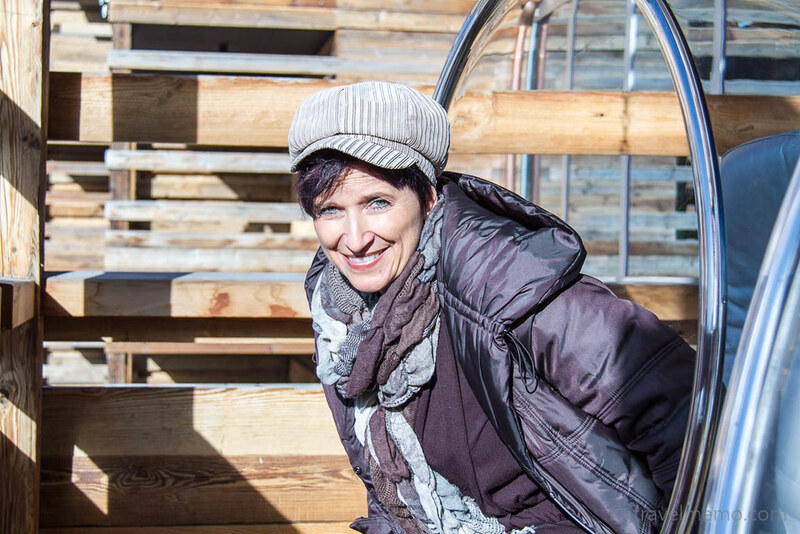 … Inge Herzer from Young & Rubicam Group Geneva who organized our visit. 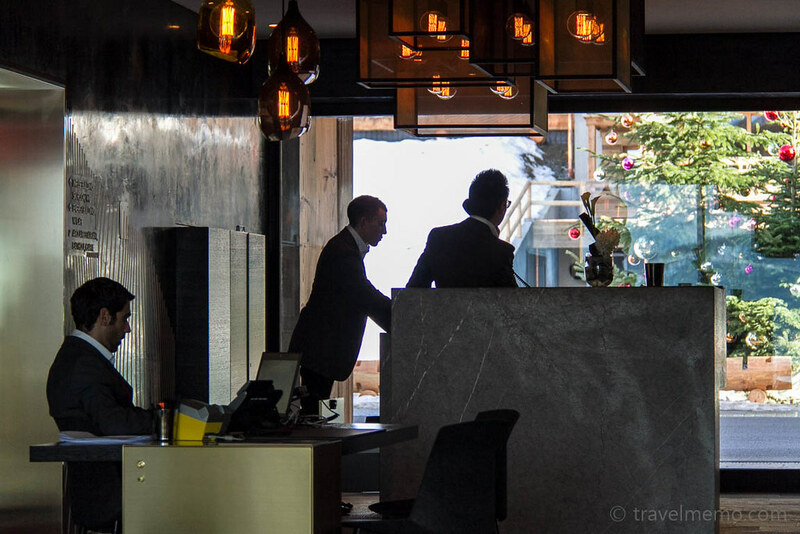 “Muchas gracias” also to Spanish concierge Miguel and waiter Fernando for the friendly and attentive service! 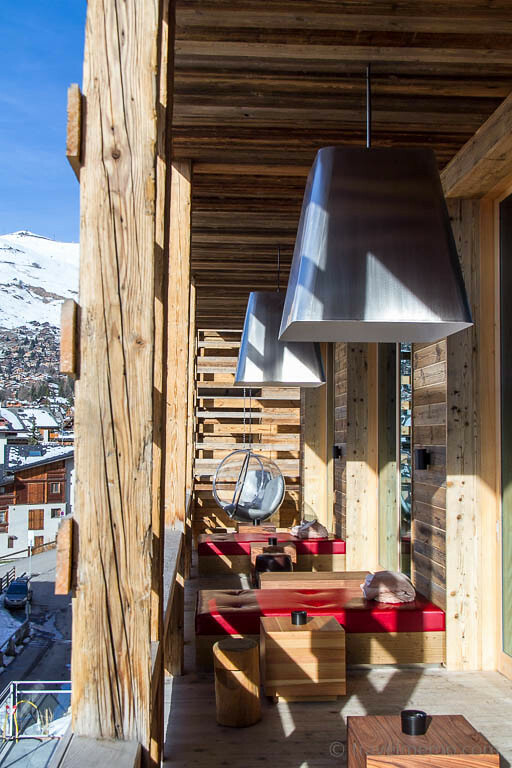 We liked the alpine themed W Verbier and its innovative lifestyle experience a lot. Well done! On this trip we teamed up with the travel bloggers Mamiko & Dimitri of Newly Swissed. Enjoy their own review! Typical opulent yet stylish W Hotel design. Worth visiting! In the meantime we have visited a few W Hotels around the the world. 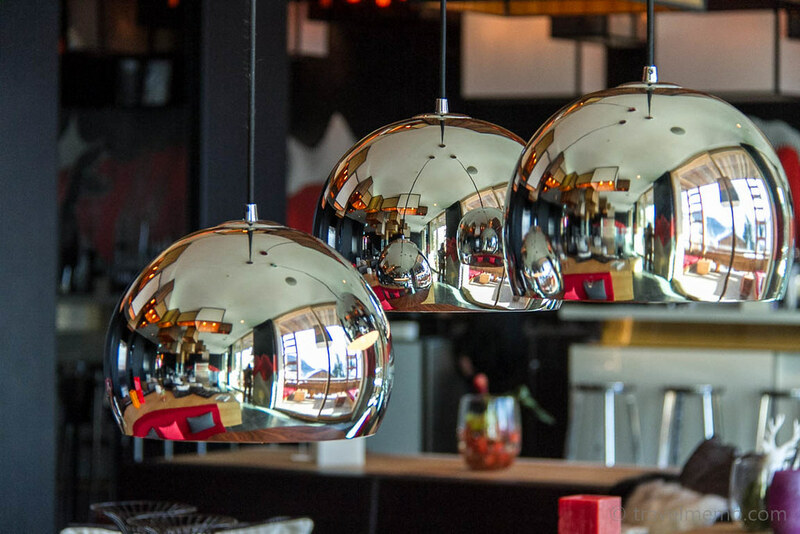 Their opulent yet elegant design is simply mind blowing! 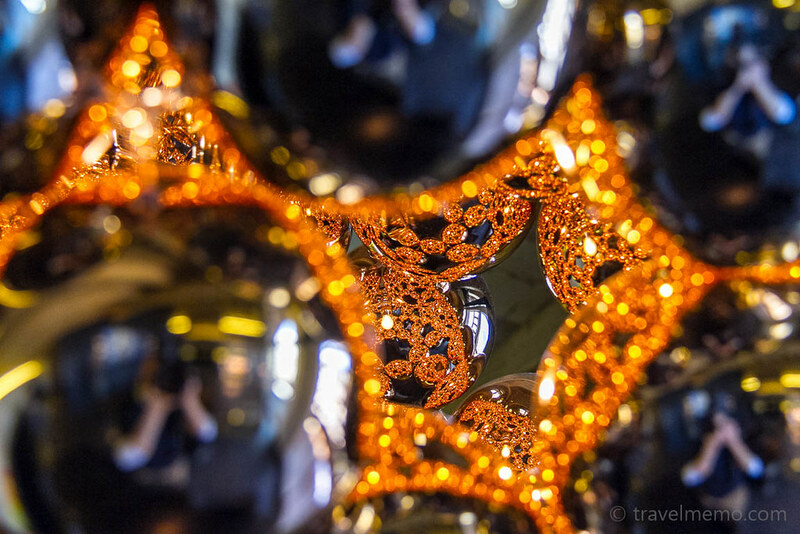 Here's an overview of all our W Hotel reviews.